Desi Smith Staff photo/Gloucester Daily Times. 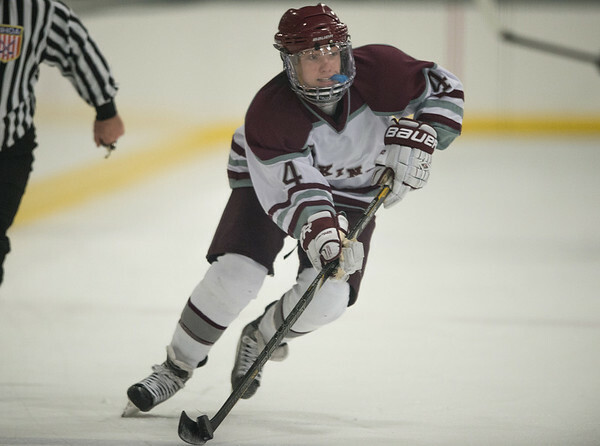 Rockport's Anthony Lange moves the puck up ice in the second period against Swampscott Saturday night at the Dorothy Talbot Rink. February 1,2014.